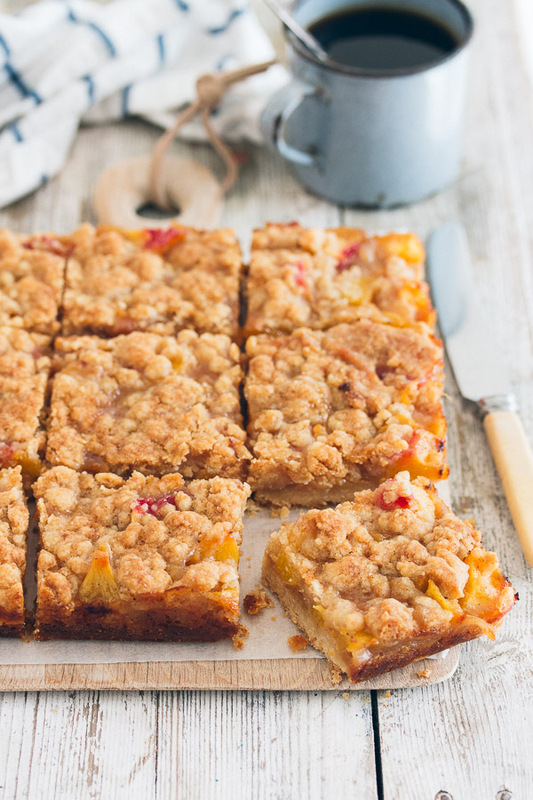 Peaches and Cream Crumble Bars - Pretty. Simple. Sweet. 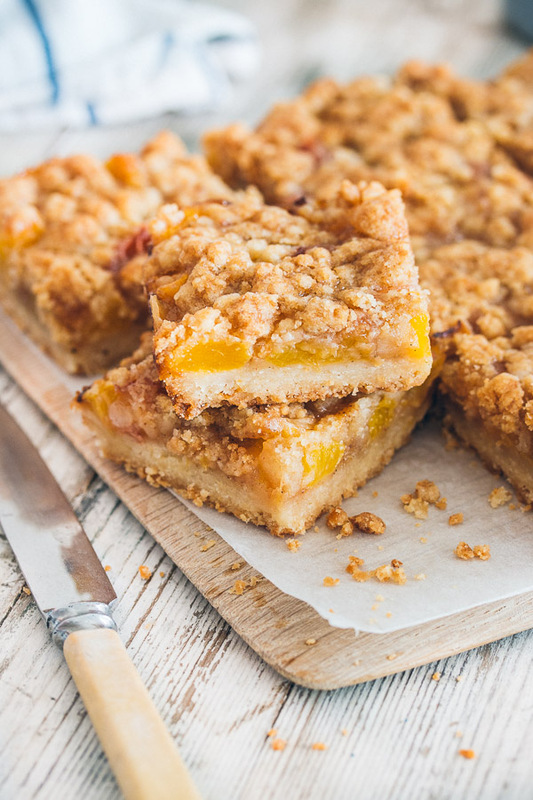 With a creamy pie-like filling wrapped in a sweet, crumbly crust, these peach bars are juicy, crunchy, and comforting. It’s been a month since my 30th birthday, and the celebrations are finally winding down. At least I hope so, and everyone else around me probably does, too. 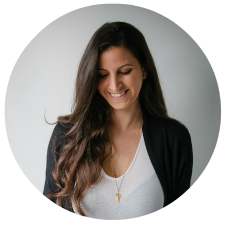 I’m not sure if it’s just that I really love parties and get-togethers or because I secretly can’t let go of my 20s. For this last event, my family asked me not to bring anything and leave all the work to them so that I’d feel special. I promised them I wouldn’t, but I lied and ended up bringing these peach crumble bars because baking is what makes me feel special. Besides, I didn’t hear anyone complaining. 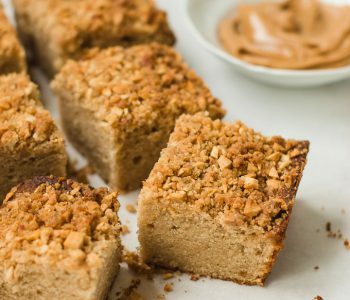 These crumb bars reminds me of a comforting pie, but with a bonus: they take much less time to make. 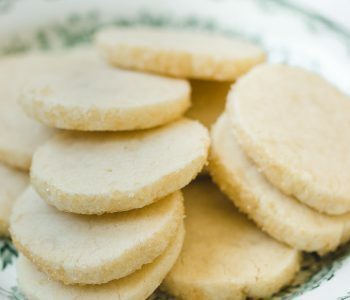 The filling is creamy and just slightly sweet, complemented perfectly by the cookie-like crust and topping. And if you want to make them even better, try serving with a scoop of vanilla ice cream. There’s just one recipe for both the crust and the topping. Instead of using two different recipes for the crust and the topping, we stick with one and just split it into two parts. One part is pressed into the pan to form a crust, and is baked for 15 minutes before adding the filling. The second part has brown sugar added to make it sweeter and add flavor, and then is tossed until medium-large clumps form to make the streusel topping. Although not mentioned in the recipe, in addition to the brown sugar, you can add ½ cup old-fashioned oats, nuts, or both. Once the peaches are chopped, the filling takes about a minute to put together. 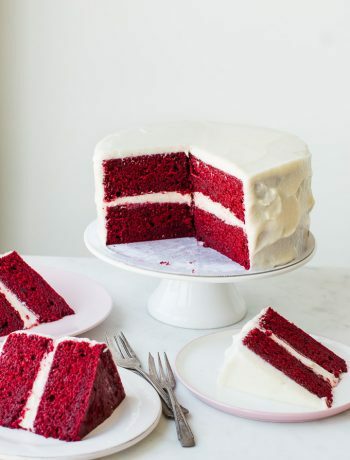 It’s made from just a few basic ingredients such as sugar, cinnamon for extra flavor, and flour for thickening. Then, to make it super creamy and extra special in flavor, I add heavy cream. I added it once thinking it might be a good idea since I do the same with my apple pie that tastes like a dream – and I was right, it was a really good idea. 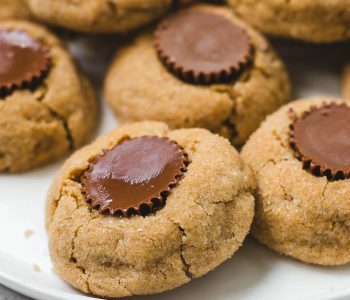 If you want, you can replace half of the granulated sugar with brown sugar, either dark or light, for a more caramel-like flavor. You can also add ¼ teaspoon of nutmeg with the cinnamon for a little more spice. 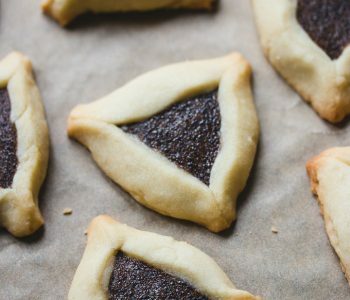 For the best results, be sure to make the filling while the crust is baking in the oven because you will need to pour it while the crust is still hot. Note: The filling should be poured on a hot or warm crust, so be sure to prepare it while the crust is baking in the oven. Preheat oven to 350F/180C. Grease a 9×13-inch pan or line with parchment paper, leaving enough overhang on the sides for lifting the bars out of the pan after baking. Set aside. To make the crust: Process flour, granulated sugar, and salt in a food processor for a few seconds until combined. Add butter and pulse until mixture becomes crumbly and resembles coarse meal. Alternatively, you can crumble all the ingredients together in a bowl using a pastry cutter. Set aside 1½ cups of the crumb mixture for the topping. Sprinkle remaining crumbs into prepared pan and press firmly into an even layer to form a crust. Bake for about 15 minutes, until the edges are slightly browned. While crust is baking, make the streusel topping and filling. 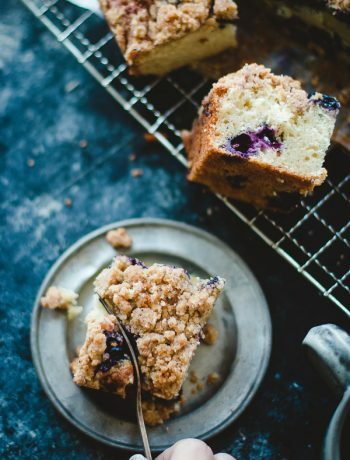 To make the streusel topping: Add brown sugar to the remaining crumb mixture and toss with your fingers to combine until large clumps of dough are formed. To make the filling: In a large bowl, mix together sugar, flour, cinnamon, and salt. Add peaches and toss to combine. In a small bowl combine heavy cream and vanilla extract, then stir into peach mixture. Mix well. 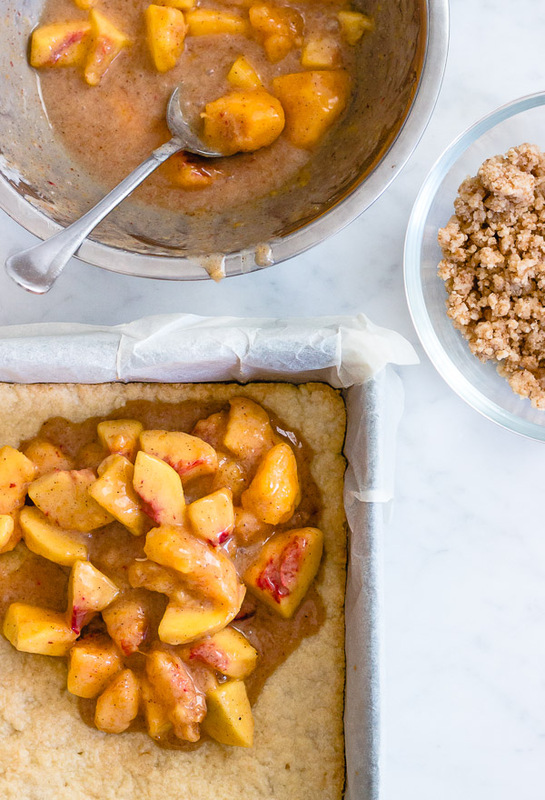 Pour peach mixture over warm crust and sprinkle streusel topping evenly on top. Bake bars for about 45 minutes, until juice is bubbling and topping is golden brown. Allow to cool completely on a wire rack. 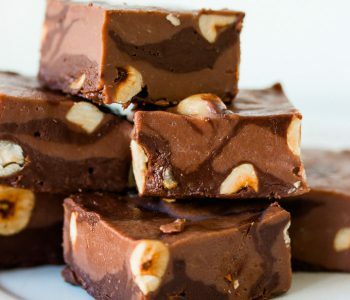 Refrigerate bars for at least 2 hours to let the filling set before cutting into squares. Bars will keep for 3 days in the refrigerator. We are having a peach picking season here. we picked a bunch yesterday and I made these squares today. Delicious!! Would nectarines work in this recipe? I just bought some at the farmers’ market yesterday because they were much sweeter than the peaches. Yes, nectarines will definitely work. 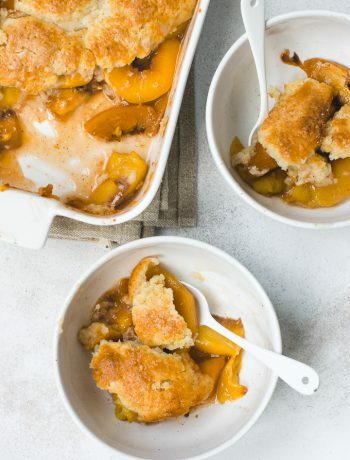 Can I use canned peaches drained for this recipe? Yes, just make sure they are drained well so they aren’t watery.